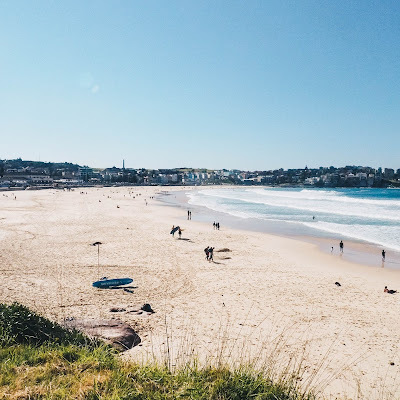 I am excited to finally present another city guide on this blog (see other city guides here and here). Over a year has passed since I spent 6 months abroad in Europe. 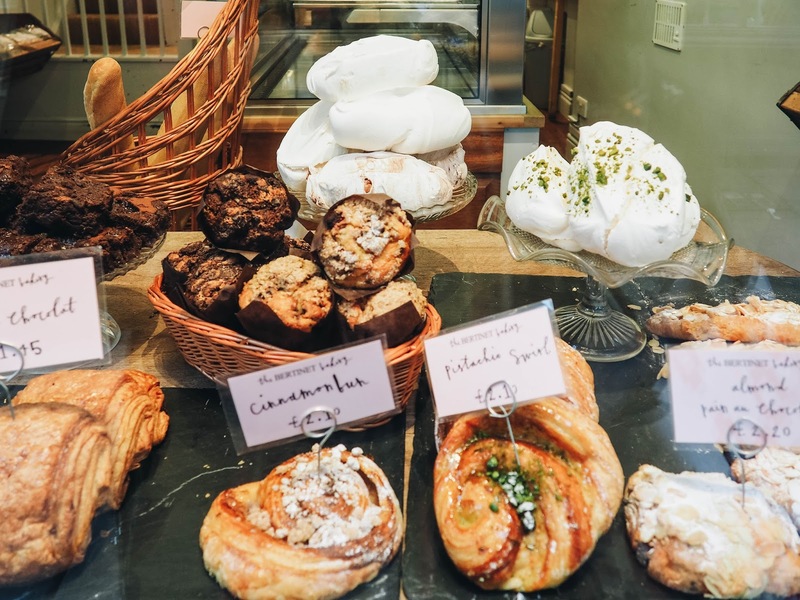 I was trying to cram in as much of Europe as I could before I had to leave, as I knew it would be a while before I could return again. 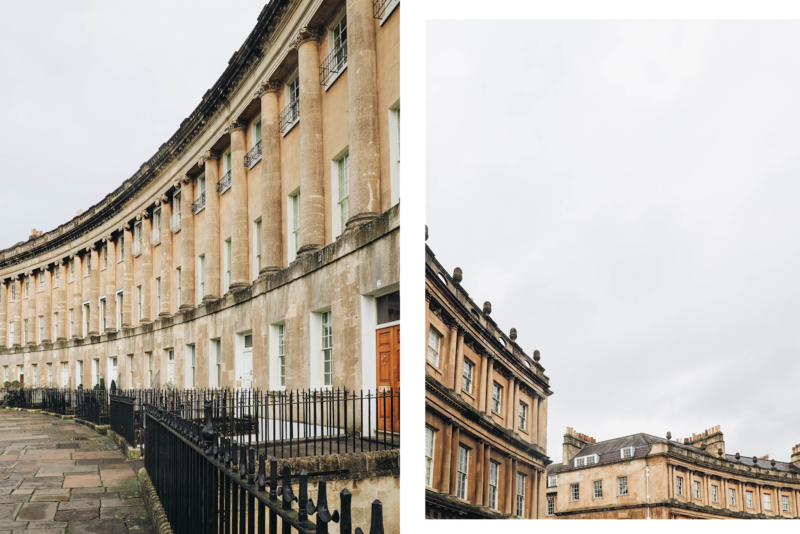 Bath, UK was the very last city trip that I took before I headed back to Sydney. 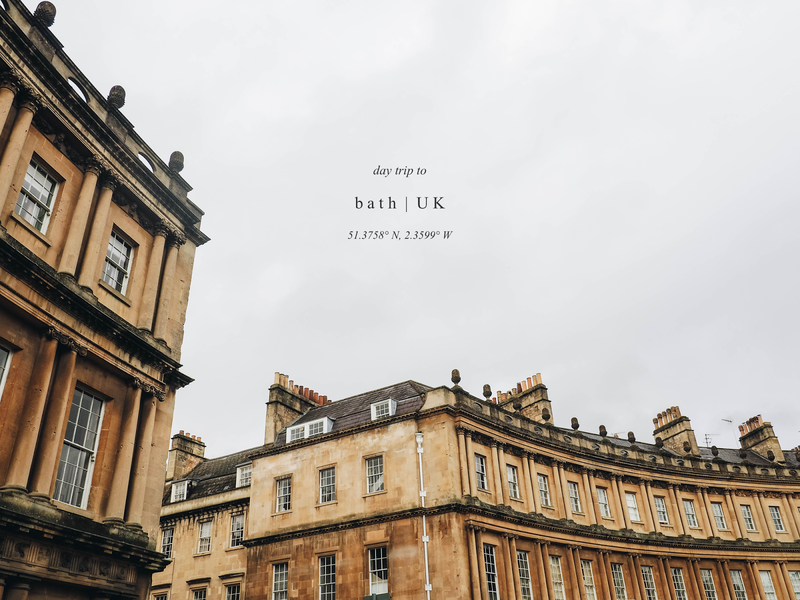 I found Bath to be an easy, effortless trip from London. 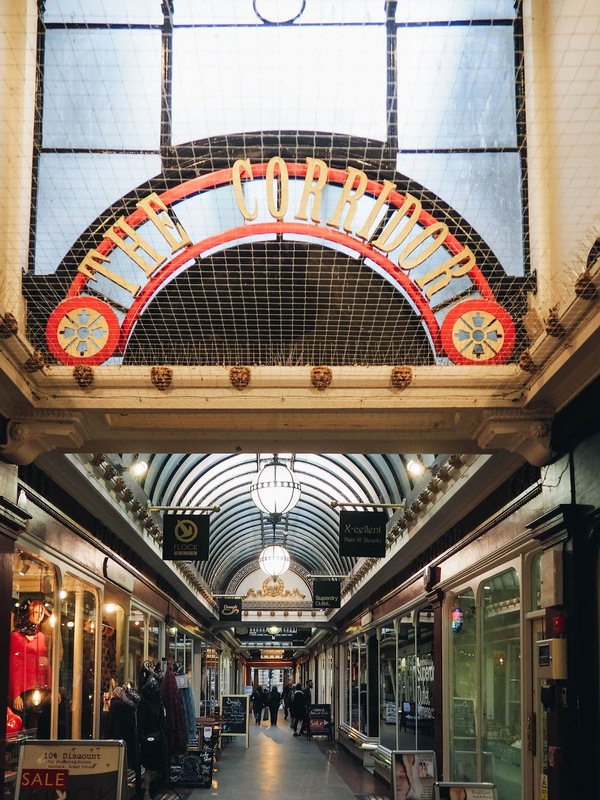 I spent a great day wandering around the town by myself, ticking off the major sights but also popping into shops for some last minute shopping. Even though I was alone, the day passed happily and quickly. 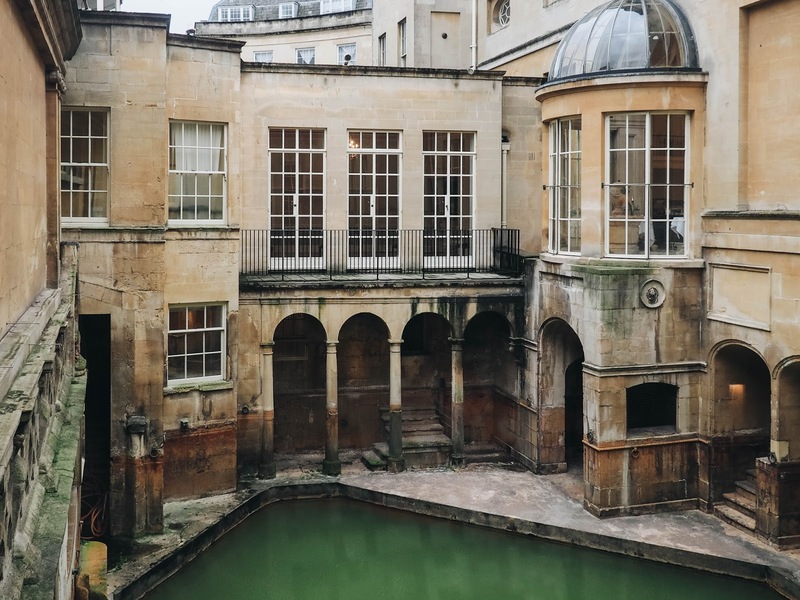 Bath is located in southwest England, about an hour and a half train ride away from London. 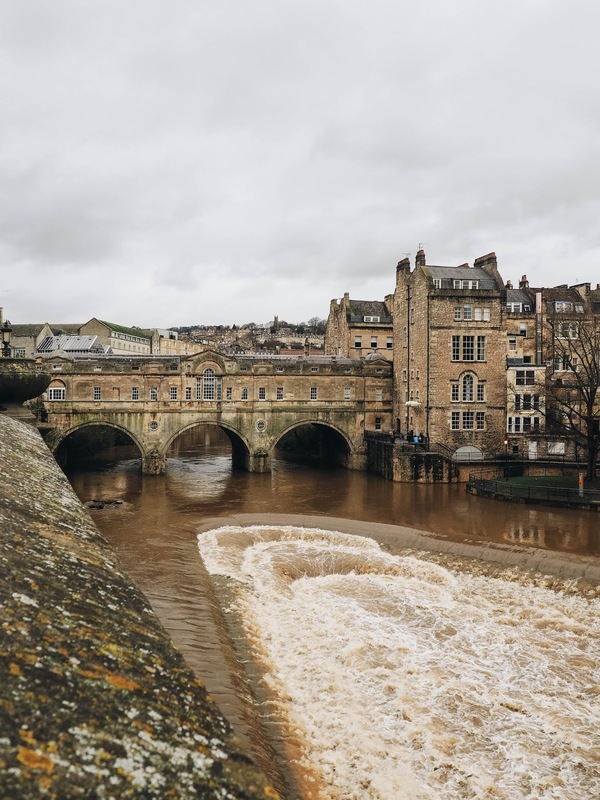 If you are travelling from London, the train is by far the quickest and easiest way of travelling to Bath. I caught the Great Western Railway and booked a ticket in advance via trainline. The return journey cost me 54 pounds (with a 16-25 Railcard). 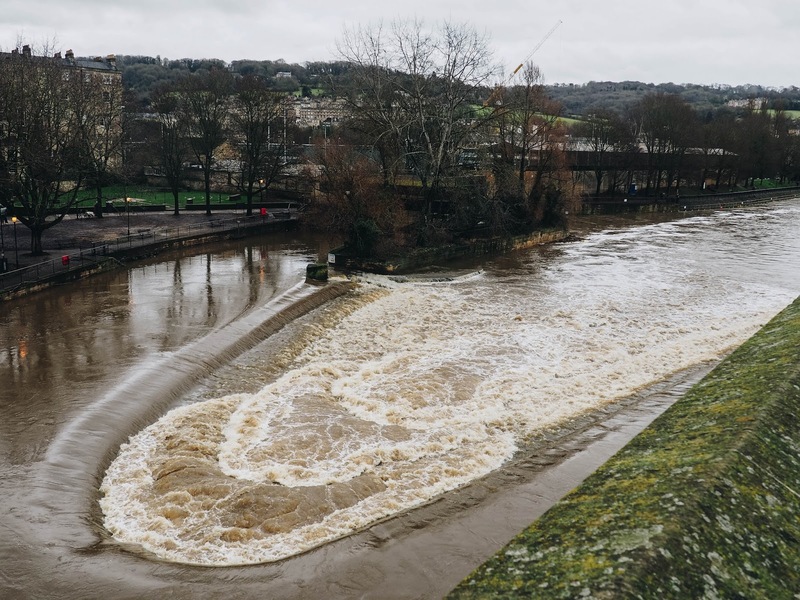 You can also travel to Bath by bus - this is a much cheaper option but the journey will take twice as long. 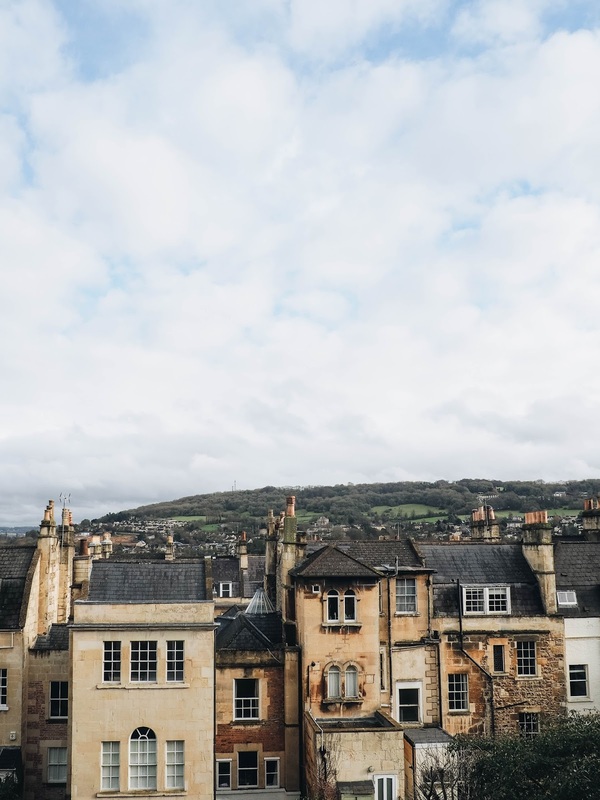 I also considered joining a sightseeing tour that combines Stonehenge with Bath, as Stonehenge is located only about an hour's drive away, but I was a bit over sightseeing and preferred to explore at my own leisurely pace. 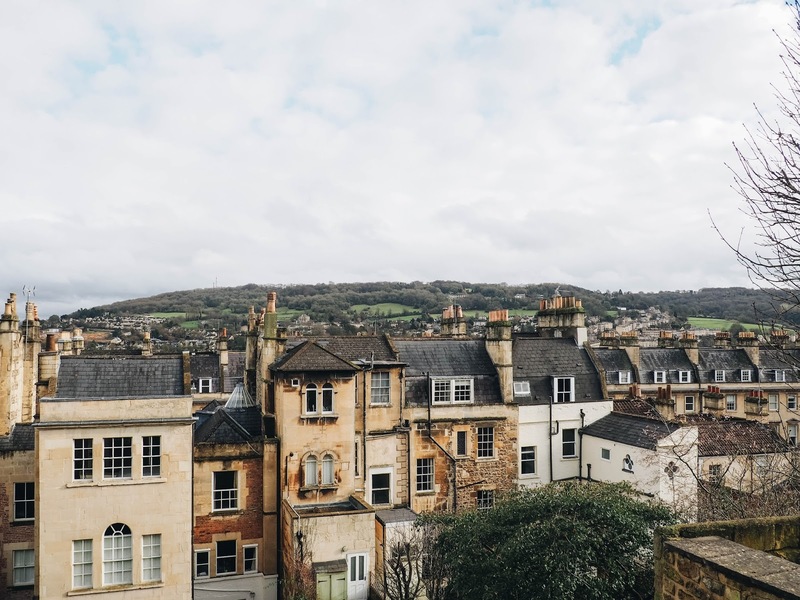 Because Bath is not a big town, I only spent the day there and was back in London at night to catch a last minute booking to Aladdin the musical. Leaving London at 10 am, I spent about 5 hours in Bath but didn't feel rushed. As this trip was a relatively spontaneous decision near the end of my time in Europe, I didn't do much planning before the day. I booked my train ticket online last minute (I prefer buying online than buying at the station on the day of). 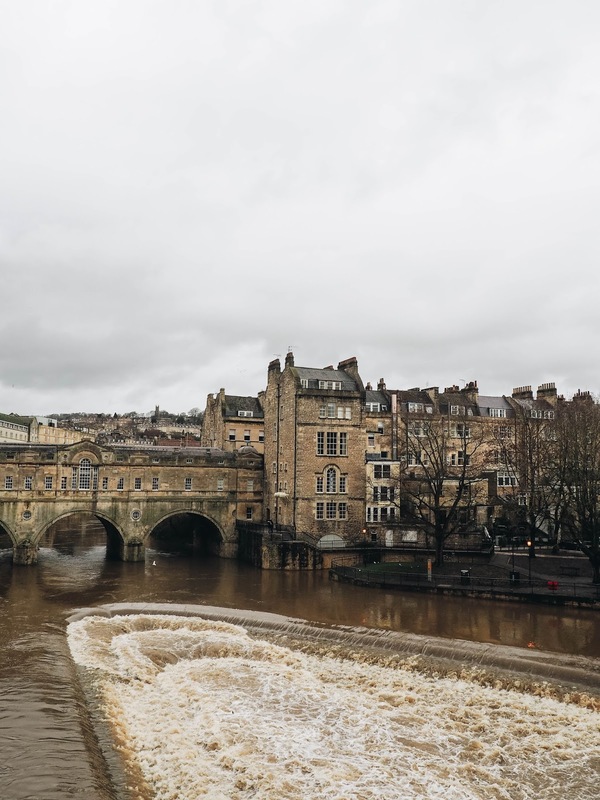 I had previously read about Bath in the Cereal online guides, however I did not prebook any tickets to any attractions nor carry out any further research. 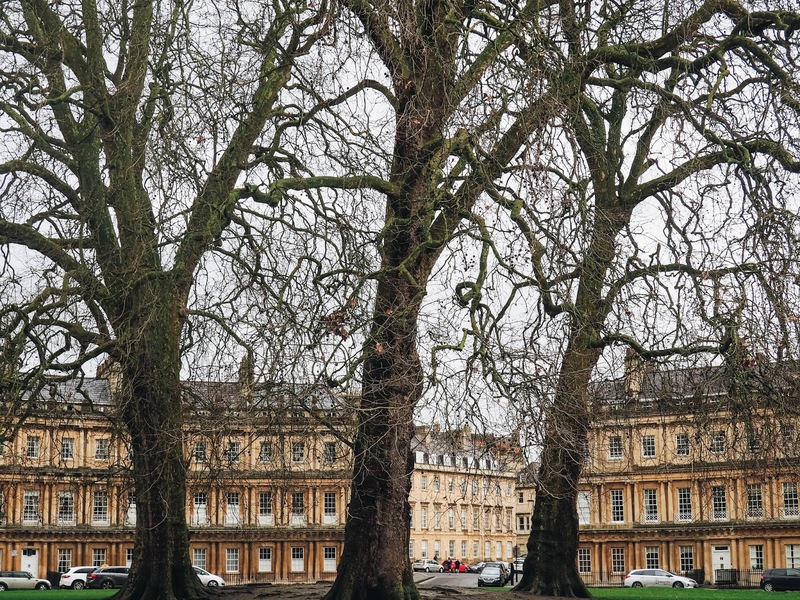 Bath is an easy town to wander around and explore. 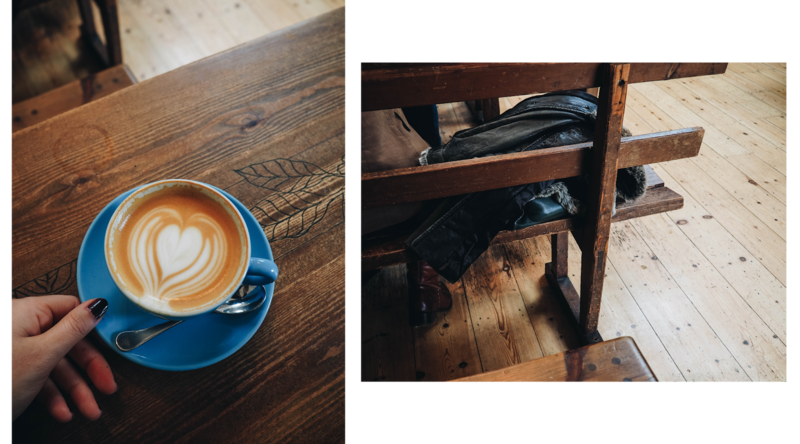 After a quick breakfast and heading for the 10am train, the first thing I attended to in Bath was obviously to try out its coffee. 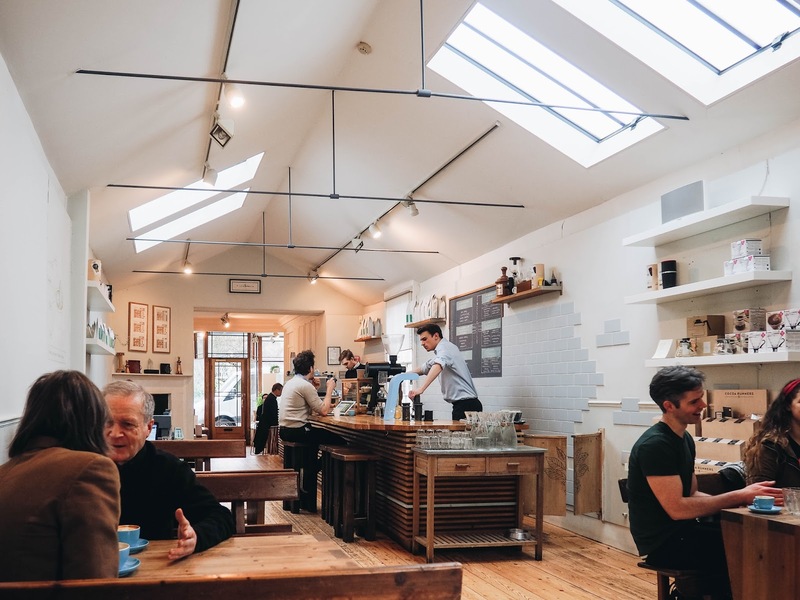 Recommended by the Cereal Guide, I visited Colona & Small’s Speciality Coffee and took a corner seat to people watch while I sipped on a hot flat white. 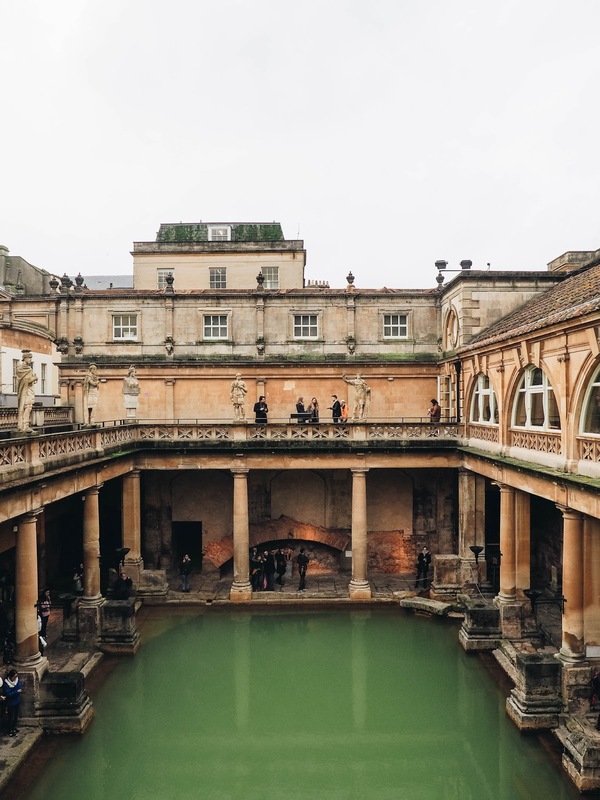 Despite not wanting to do much sightseeing, I still wanted to tick off the world heritage site, the Roman Baths, off my bucket list. 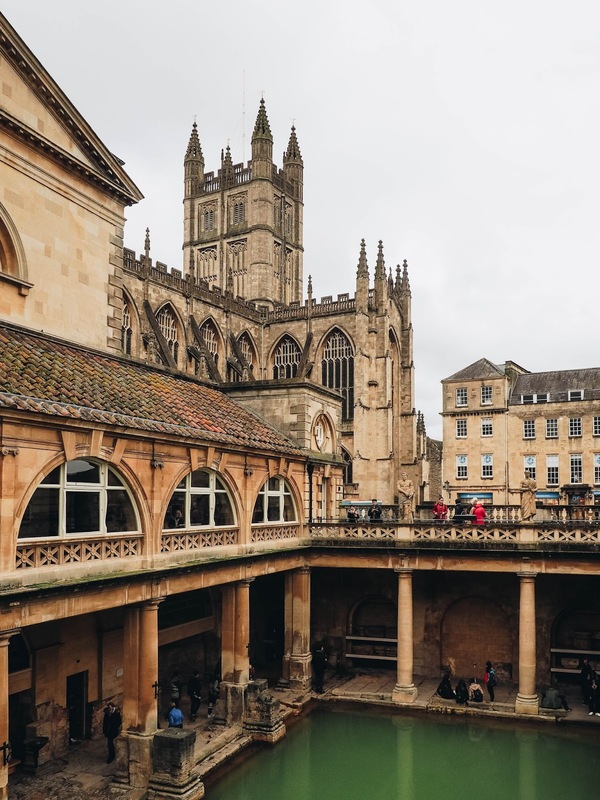 As I visited Bath on a weekday, I was able to buy a ticket to the Roman Baths (around 15 pounds) without having to queue up. 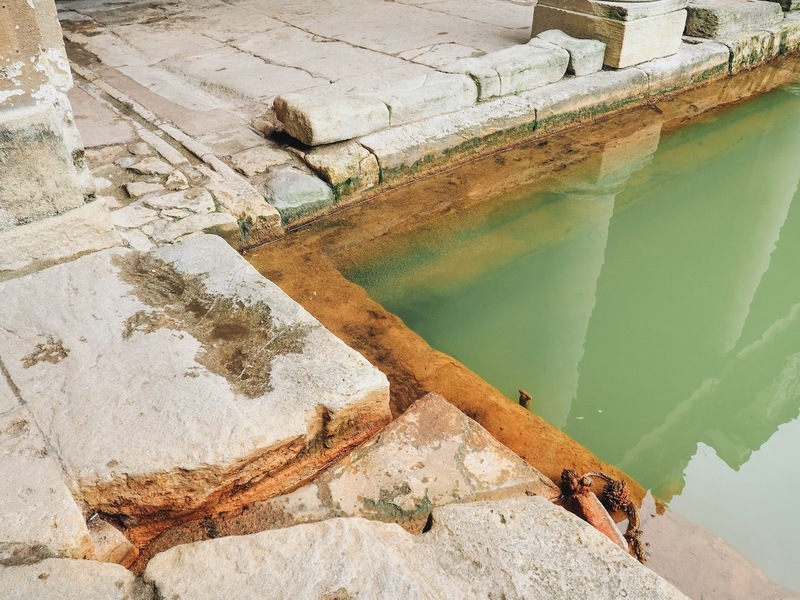 The ticket comes with a free audioguide which was great for learning about the ancient thermal springs (that still flow with natural hot water today). My tip for visiting galleries and museums like these is to always get the audioguide. 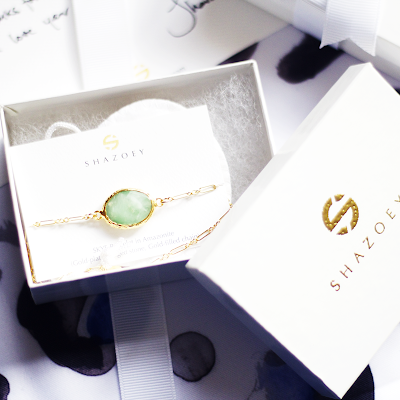 It truly enhances the experience when you get a better understanding of what you’re seeing. 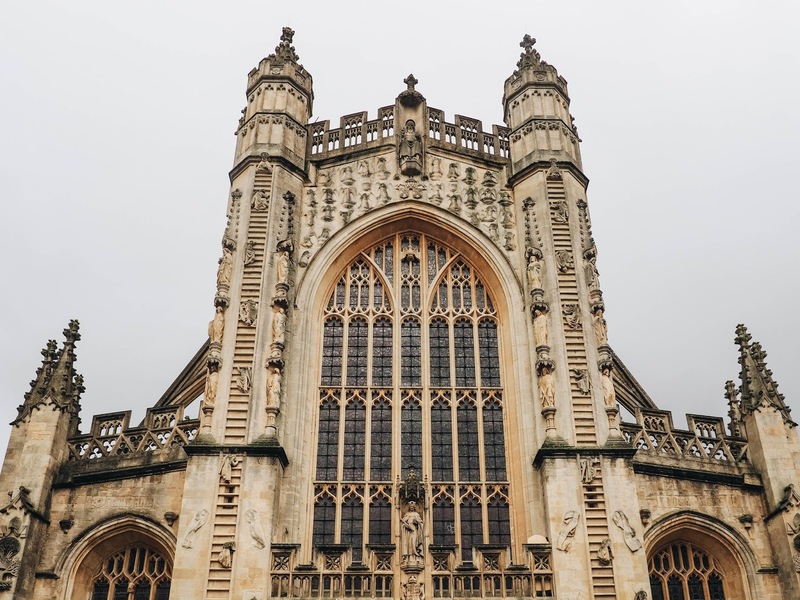 The Bath Abbey is also located right next to the Roman Baths (although I didn't go inside to have a look). 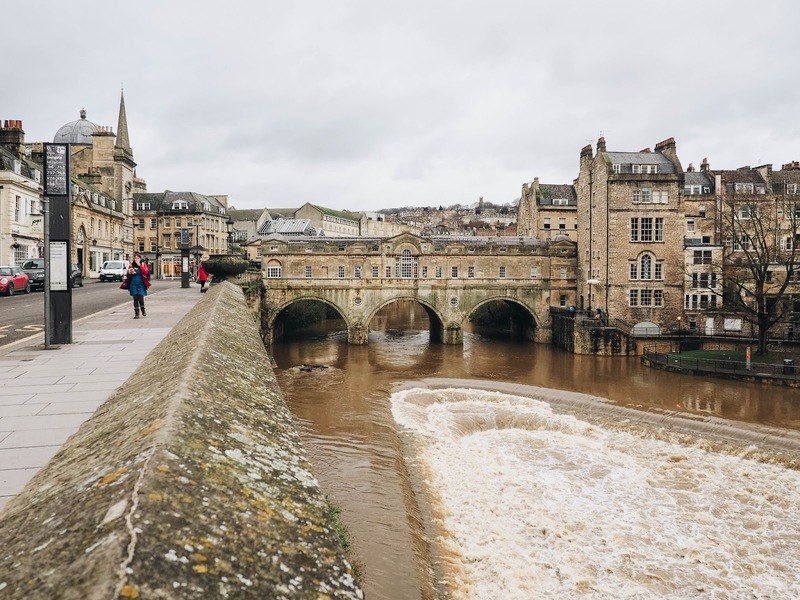 I was extremely excited to visit Pulteney Bridge and the River Avon, as it was the filming location for Les Miserables when Javert falls into the Seine (#nerdalert). 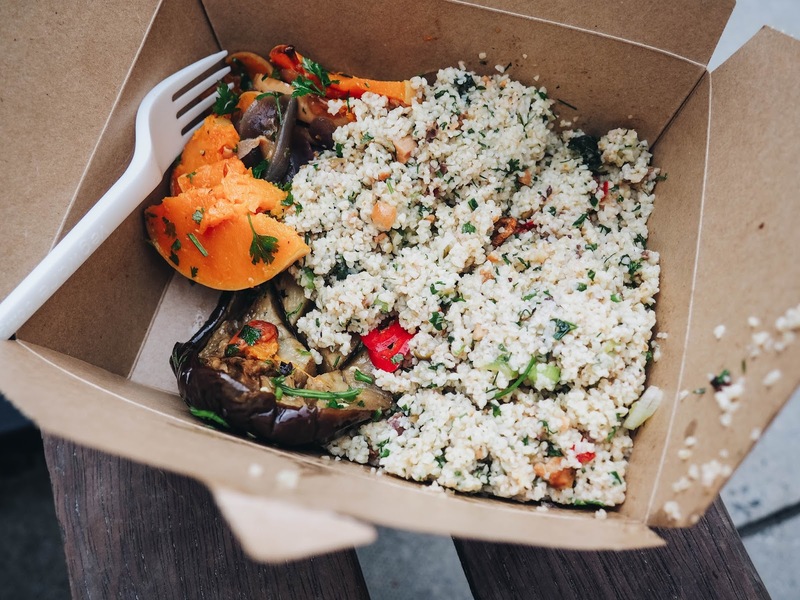 I decided to buy a takeaway salad and had lunch whilst sitting on a bench overlooking the River. 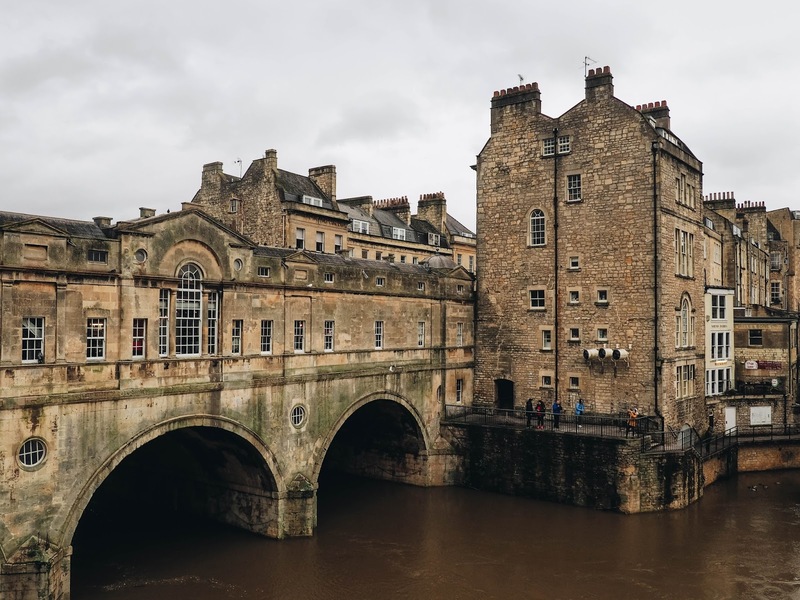 Along Pulteney Bridge is a row of shops and cafes (it reminded me of the Ponte Vecchio in Florence). 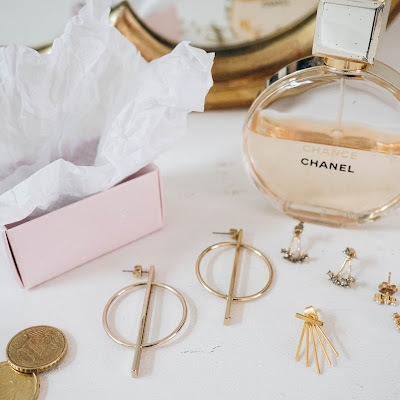 One of them was a concept store called Found. 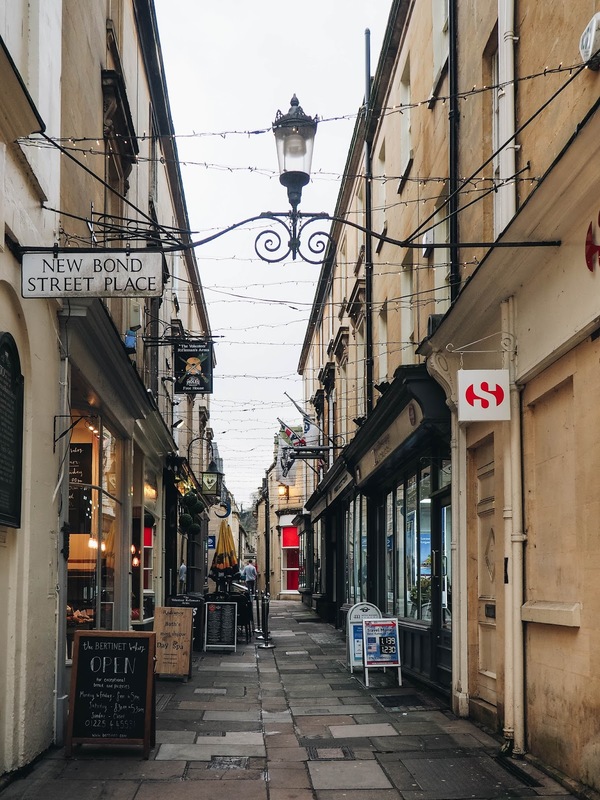 I really enjoyed the shops in Bath, as many of them were homeware and concept stores such as Graham & Green and the more commercial but beautiful Anthropologie. Enjoying my lunch next to the River Avon. 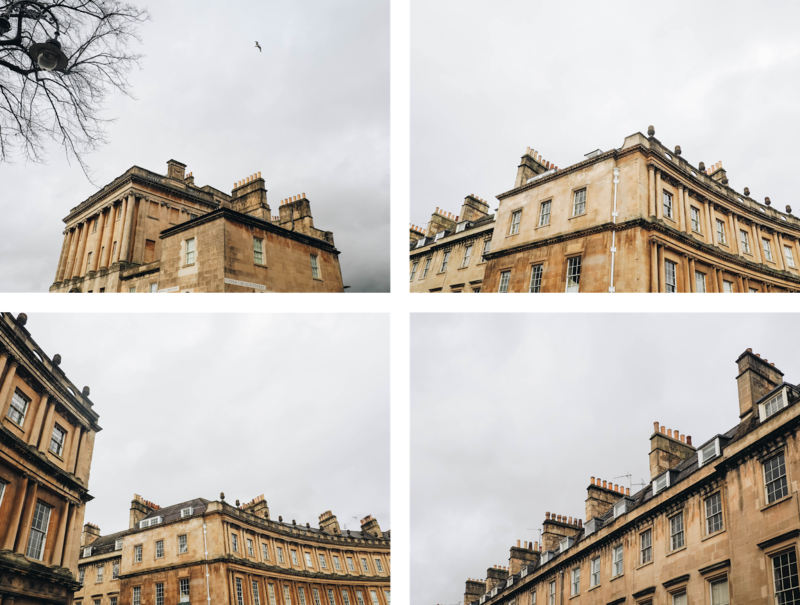 The main reason why I wanted to visit Bath was to admire the Georgian architecture. 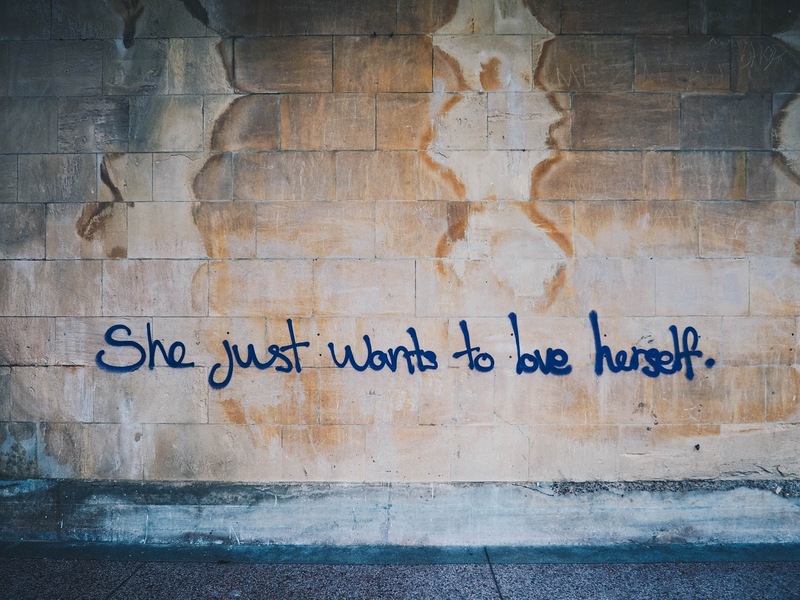 It’s so...English! 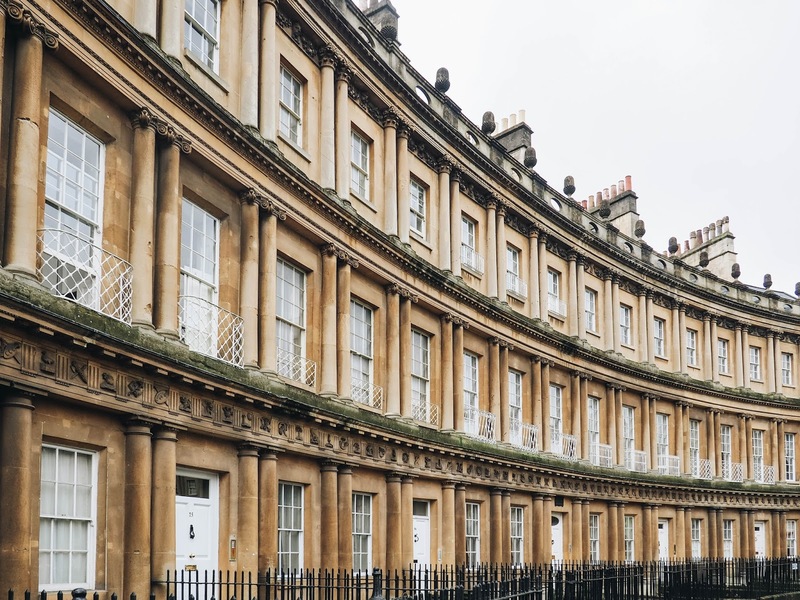 In particular, I visited the Royal Crescent and the Circus (which are located near each other), both historical streets designed by prominent architect John Wood. At one point I decided to walk down a private driveway and was greeted by this amazing view. 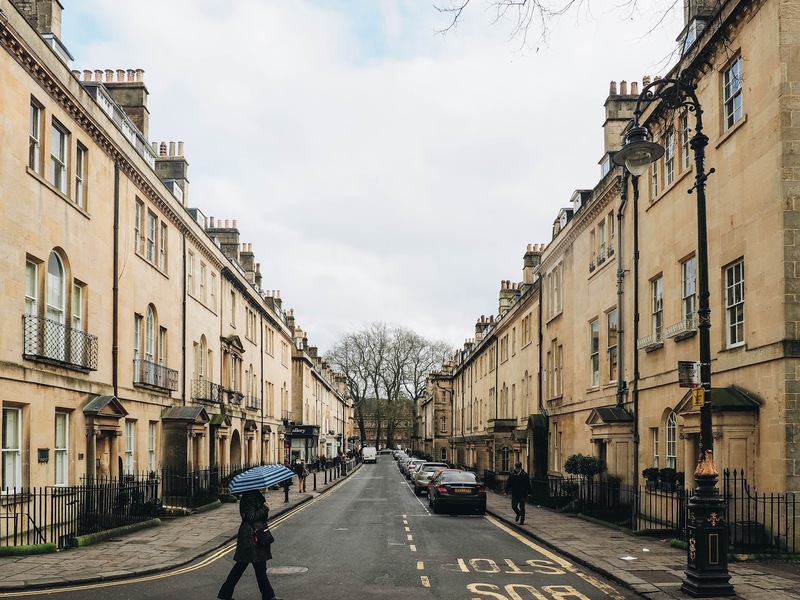 Walking back to the centre of Bath, I also visited the shops in and around the Corridor. Hope you enjoyed this guide! Click here to read more travel posts.